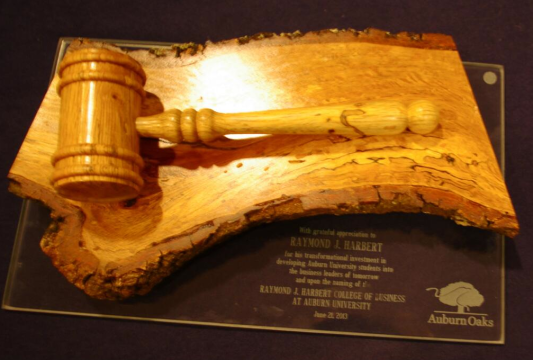 Here’s one of the perks of being the name behind the single largest donation ever to Auburn University: One of those gavels they talked about making from the wood of the Toomer’s Oaks but didn’t but apparently did. That and having the college named for you. So from now on, it’s the Raymond J. Harbert College of Business. That sounds like a college of business. We like it.